#CDCUSTOMCONTEST: Our orphaned Ford custom. We can’t take credit for it. 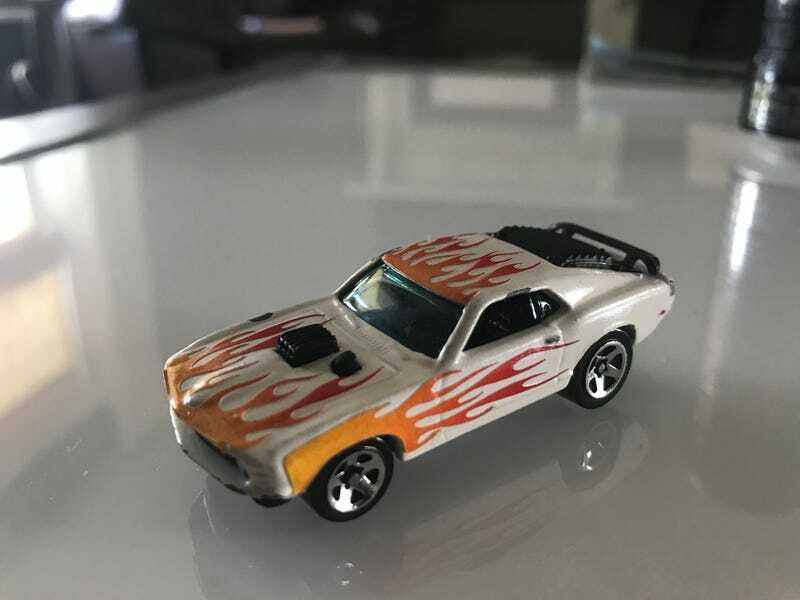 Picked up at a flea market: Someone drilled, painted, detailed the headlights/tailights , applied flame stickers, then glued back together. Lot of work for a non-mopar says the j-man. Wait...I think we may have a mopar custom on the shelve..